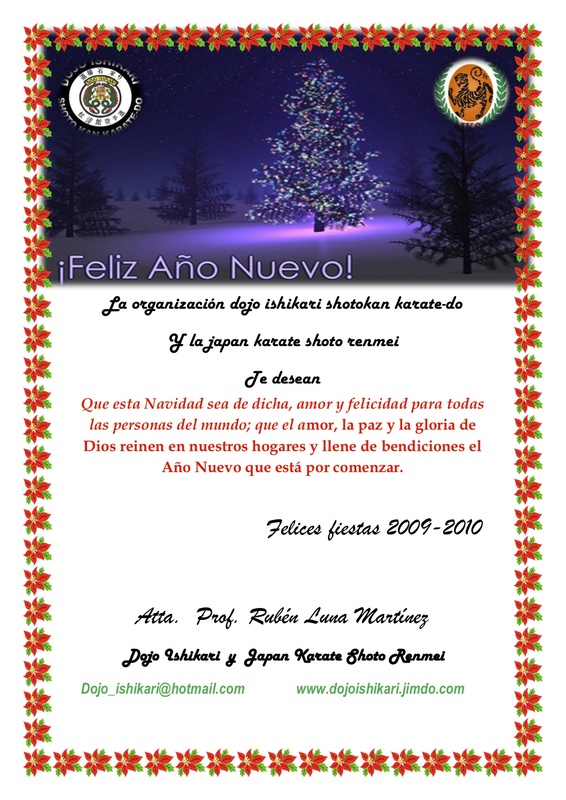 El sensei Rubén Luna del Dojo Ishikari envía sus mejores deseos en estas épocas a toda la comunidad. This entry was posted on 18 diciembre 2009 at 21:32 and is filed under General. You can follow any responses to this entry through the RSS 2.0 feed. You can skip to the end and leave a response. Pinging is currently not allowed.